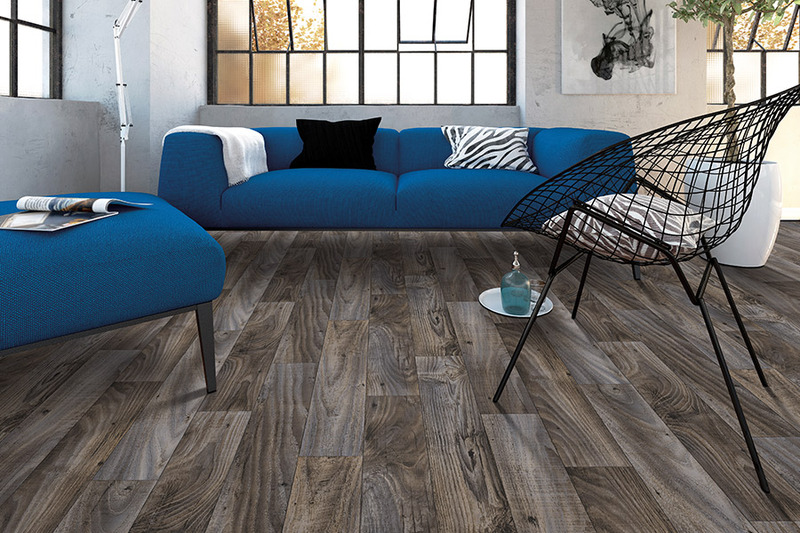 It’s likely you’ve heard of luxury vinyl flooring (LVF) at some point during your search for the perfect floor covering. 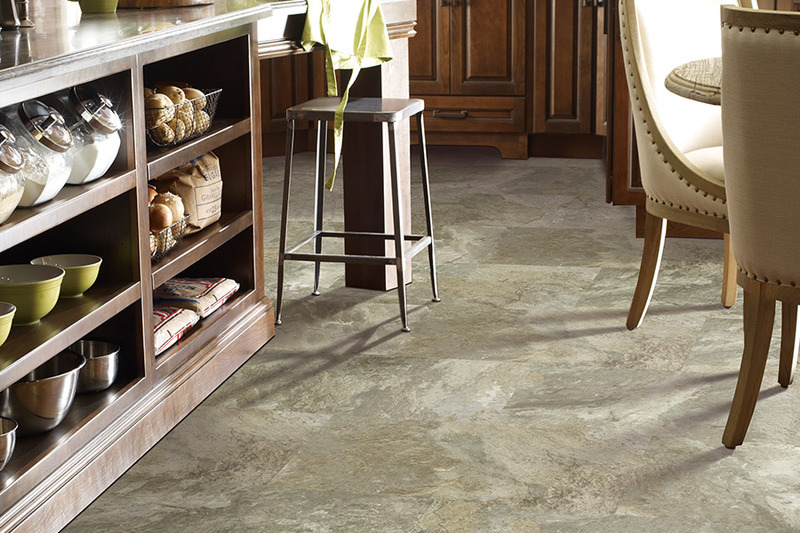 This is an amazing hard surface flooring that you’ll find is not only beautiful and elegant to look at, but one that meets a wide variety of homeowner needs as well. 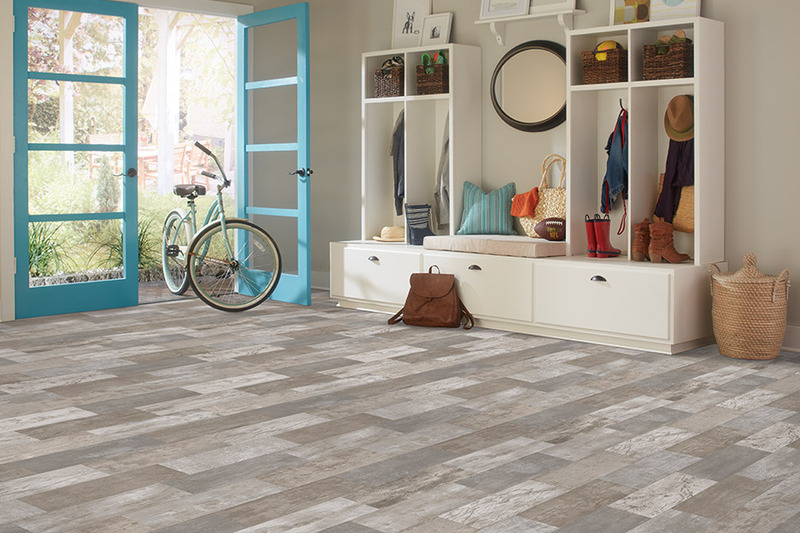 For instance, it’s as durable as it is gorgeous, and it has a life span that won’t leave you looking to create another flooring budget too soon. Better still, matching your existing décor should be as easy as choosing a perfect style or color option. Boulevard Flooring Emporium brings more than twenty-five years of flooring experience to the table, and we’re happy to put that experience to work for you. 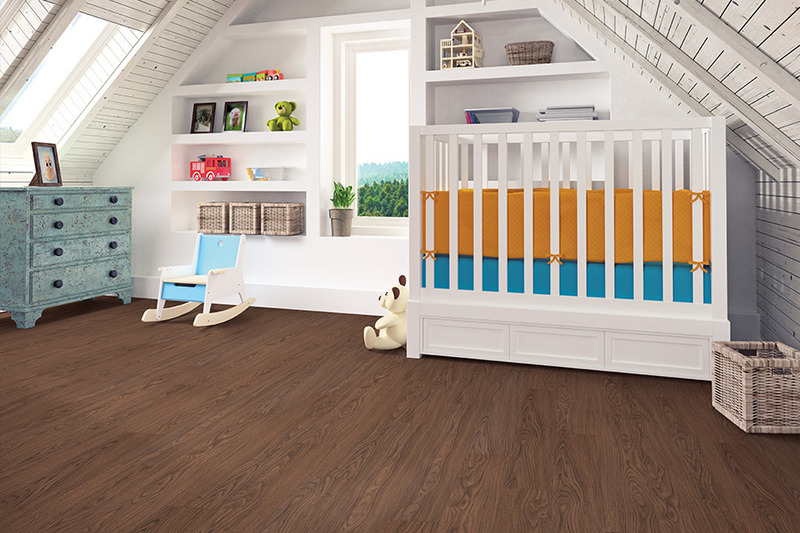 Whether you’re simply looking for an excellent floor covering, or you’re looking for a package deal that includes installation and after care, we’re here to serve you, along with the areas of Lancaster, Palmdale, Acton, Rosamond, Tehachapi, Littlerock, Pearblossom, Mojave, California City, Santa Clarita, Leona Valley, and Lake Elizabeth. We invite you to visit us at our Lancaster, California showroom at your convenience. 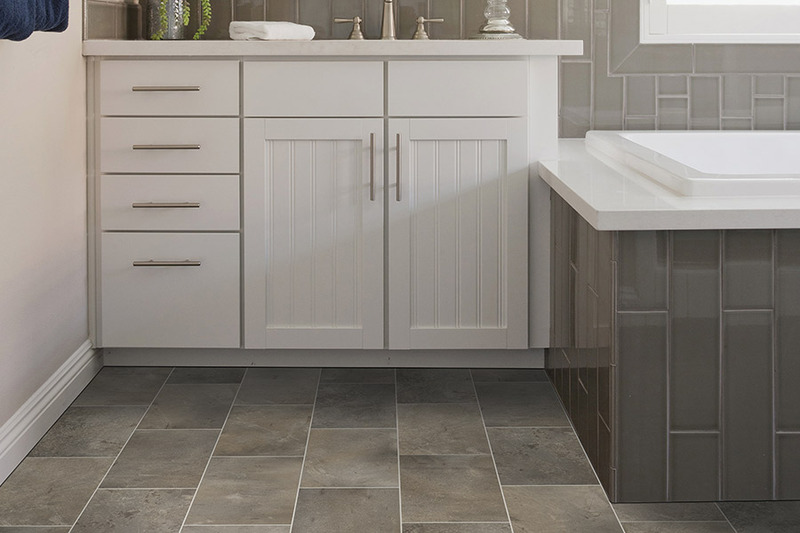 If you have had your heart set on floor coverings such as solid hardwood, ceramic and porcelain tile, or even all natural stone, but just can’t seem to create the budget for it, you’re in luck. 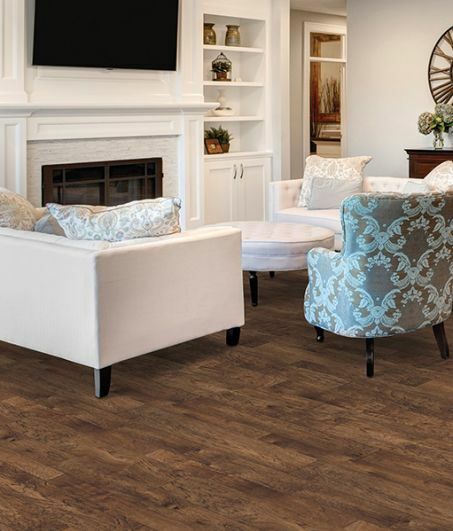 Luxury vinyl flooring can mimic these materials with such ease, your guests are likely to never know the difference unless you specifically tell them. The amazingly realistic look of this material is thanks to the 3D image printing process used to create the design image, which mimics not only the look, but also the texture of these materials. To keep that image layer looking its best, it’s topped with a protective wear layer that serves a couple of purposes. The first is to protect the image from everyday wear and tear. The other is to protect the flooring from wear and damage that can shorten the lifespan of this material. The thicker that protective layer is, the more protection you can expect. However, you’ll see far fewer dings, dents, scratches and scuffs over the long haul, thanks to this simple fact. 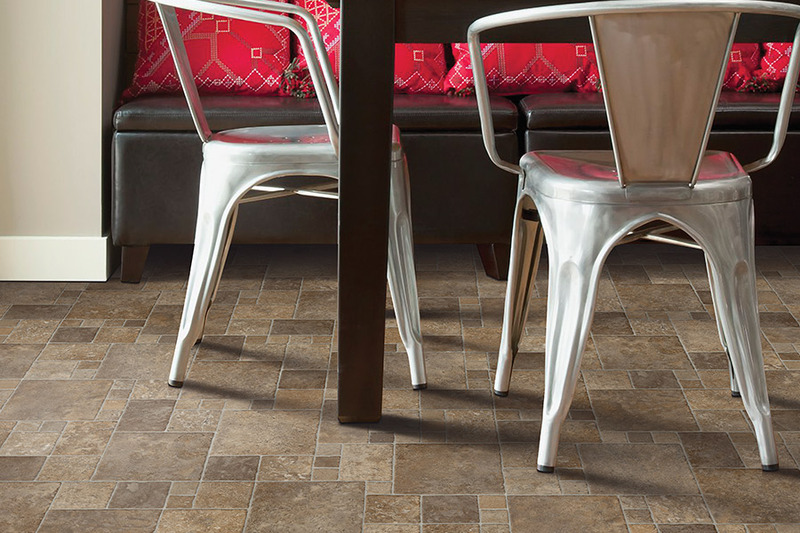 In addition to great looks and amazing durability, luxury vinyl flooring is quick and easy to install. Not only that, but it’s just as easy to maintain and keep clean. Often, the only tools you’ll need are a vacuum or broom and a damp mop.